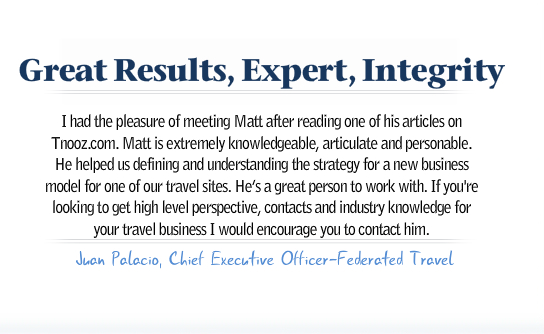 Grow your existing travel business to the next level. Learn how to start a travel business with veteran travel entrepreneur and online travel business expert, Matt Zito. 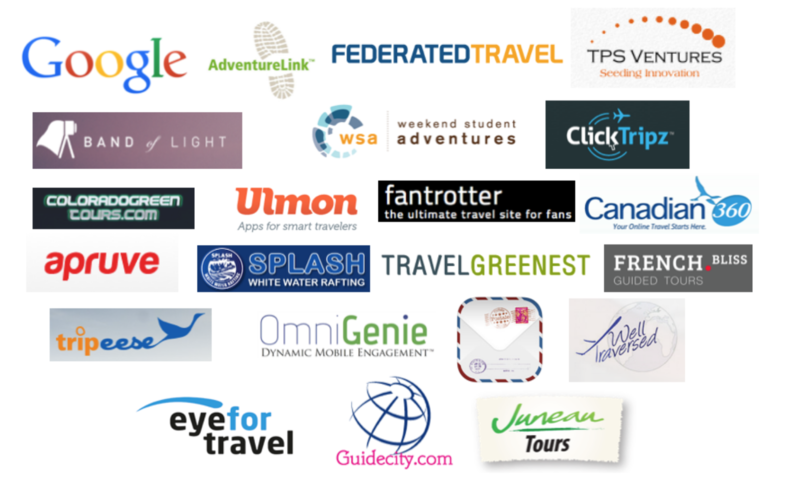 Hundreds of entrepreneurs have joined the Travel Business Academy since 2011. Will you be the next in 2018? The Travel Business Academy is a Do-It-Yourself professional online course that you go through at your own pace on your own time and schedule. All you need is a computer and Internet access. There are no other prerequisites. Inside the Travel Business Academy you’ll learn how to create a unique travel brand for your travel company, selling a travel product, vacation package or travel service, to a targeted core traveler or travel destination with contractual agreements directly with travel suppliers, travel originators, hotels, resorts and lodging suppliers. Start a travel business today in any city, destination or country in the world! 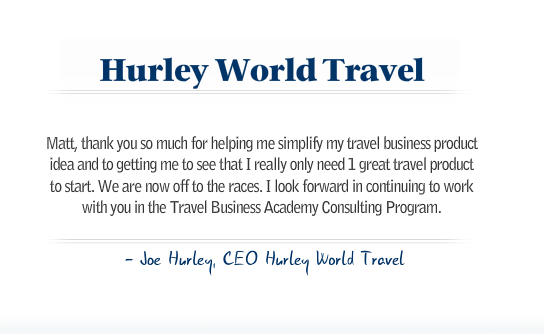 The Travel Business Academy is open to anyone, worldwide. The program can be applied no matter what country you live in and no matter where you want to operate your business. Stake your claim and position your travel business now! *5 online start up, business development and marketing modules. Go through each module at your own pace online and build your travel business from the ground up. *Downloadable worksheets that take you through proven business start-up processes. The worksheets in PDF help you assess and strengthen your idea for success. *Videos, marketing reports, and the Travel Business Library packed with educational resources about the travel business. The members have told us that this one resource alone was worth the total cost of the course. *Travel supplier pitch letters used to conduct business. Maybe you have always wanted to start your own travel business but were not sure how or where to start or maybe your stuck in your current travel business and need some business advice and some new ideas. The frustration ends in 2018. Now is your chance to launch the business you always wanted! My name is Matt Zito. I am a veteran travel industry entrepreneur having sold over $3,000,000 in online travel from my home-based office. Now I am an active investor and advisor to travel technology startups. In addition to investing in the world's next great travel tech startups I participate actively as a panelist and moderator at many travel conferences throughout the year. Yeah, that’s a picture of me below at the Eye for Travel, Travel Distribution Summit in Las Vegas where I was a featured presenter. On stage with me were representatives from Living Social the leading Daily Deals company and Kimpton Hotels. In speaking with prospective travel business owners week in and week out the biggest hurdle I hear is that you are unsure about where and how to start and that you think you have to do everything in the beginning. This “mind set” leads you to loose focus and ultimately never gets you off the ground. What I teach and mentor travel entrepreneurs, is to simplify, scale down the original business idea, leverage a competitive advantage, find that core sweet spot, focusing on taking incremental actionable steps that give you momentum to generating your first dollar in sales. Positive momentum leads to a reduction in fear and is the fuel for the fire that carries you forward. Just like in all competitive sports, the travel business start up process is all about generating positive momentum. In the Travel Business Academy you’ll learn many facets of how the travel industry works, helping you simplify your business idea, taking you through 5 online business building modules. The modules are designed as an action plan that moves you forward from idea to ultimately your launch. I am passionate about what I do and I like to be hands on so you can be confident that you’ll learn everything I know about how to start a travel business including business development strategies, marketing tactics and business insight derived from my over 20+ years in the travel business. The travel industry is growing and is back in full swing. IBISWorld expects travel and tourism revenue to hit $1.4 trillion. “The opportunity in the sector will be the highest it has ever been.” Entrepreneur Magazine. It’s your time now to grab a piece of the trillion dollar global travel and tourism marketplace. Starting a business is difficult and there are many moving parts. Over the years I have started successful travel companies and I have had a few failures. Look, anyone who tells you they have never failed aren’t true entrepreneurs. My biggest winner was CollegeSkiTrips.com, an online travel company my wife and I had started when we were in college, built into one of the largest youth-ski travel companies in the country and sold the business in 2007, now owned by the largest ski travel company in North America. It is the Entrepreneurs dream, build it, scale it, sell it. A few of my former clients, business partners and corporate alliances. My companies, marketing strategies and travel business commentary have been featured in the following major media outlets. I tell you this not to brag but to show you that I am a proven successful travel entrepreneur and now an investor and advisor/mentor. You may be asking yourself, what types of travel businesses can I start? In this program I will introduce you to private sale/flash sale, members-only travel web sites, and the more traditional tour operator, trip operator, tour guide, guide, destination activity provider, online travel agency and the new travel broker business. You may already have an idea of the type of travel business you want to start and that is great. Now is the time to get in on the ground floor of the next big wave in travel. 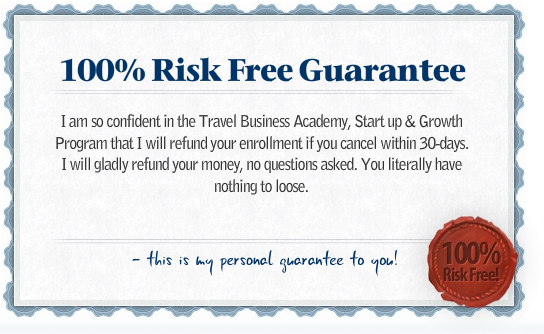 If you own an existing travel business and are ready to go to the next level, I suggest that you enroll as well. Really anyone interested in learning how to start a travel business or grow a current travel business this professional business program is for you. The ins and outs of the travel business including the traditional online travel business models and the hot new deal type travel business models that are gaining market share. 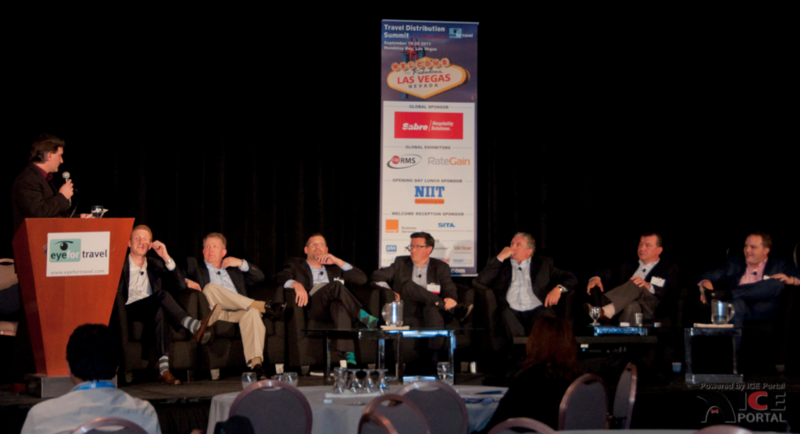 How to assess travel opportunities and uncover true unmet needs in the travel marketplace. Case Studies of successful companies uncovering the business elements that ultimately helped them succeed. How to validate your travel product and business idea through research and analysis. How to create USPs (Unique Selling Propositions) that hit the sweet spots that give you a competitive advantage over the larger online travel companies. How to turn your USPs into benefits for the buyer of your travel products. How to second tier niche and launch into a market that is growing where you can build a nice little six-figure income working from home. How to enter a multi-million dollar travel opportunity by simplifying a core product, proving sales and scalability so you can successfully pitch your business to angel investors and venture capitalists. Pricing strategies that will make your business money. How to budget to Bootstrap with limited finances. How to create a travel product that sells. 3 business start up documents that will help you generate your first sale within 30-days of launch. How to create a light-model sales plan to acquire your first 100 sales. How to build a company with only one travel product at launch. Over 60 downloadable worksheets, reports and videos. How to acquire a domain name and name your business. How to identify your travel supplier partners and solicit their business. How to create win-win deals with your suppliers. How to negotiate and write an iron clad hotel or lodging contract that gets you the best rate possible. Hotel negotiating strategies and secrets. Learn about the 13 different software and technology website platforms you can buy and or license affordable to operate and run your online travel business. Marketing strategies to attract buyers of your online travel products. Online advertising opportunities to attract buyers of your online travel products. Learn how to build a team by outsourcing portions of your business. Learn how to build automated systems into your business that limit the amount of time and effort you ultimately have to put into your business. 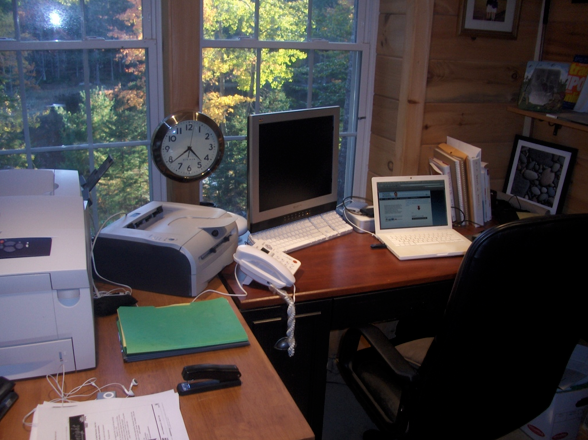 Learn accounting setup, home office preparation and business licensing. How to write a Launch plan that ties everything together. This is a high-level business program without the huge cost. A business program at a university or college of the same caliber as the Travel Business Academy would cost between $3,000-$5,000 and this would probably be taught by a professor who never operated a travel business before. But you won’t pay $3,000-$5,000, no this program is much, much more affordable and you’ll be blown away at the cost. Let me first tell you my entrepreneurial story and my business achievements. I have been a travel entrepreneur my entire life. I am self-made. I had a wonderful upbringing and went to college but I was never handed anything. I built my business on my own two feet, with hard work and determination. My first entry into the travel business was in college, when I bused college students from George Mason University in Fairfax, Virginia to the bars of “M Street” in downtown Georgetown, Washington DC. At the time, Mothers Against Drunk Drivers were everywhere on campus, picketing and yelling at college students not to drink and drive. Students from our school were driving down to DC, partying, and driving back. I solved that problem easily; I just bused everyone down to the bars. My business model was simple and very lucrative. I made $3.00 per person for the bus ride down, received a $10 cover charge from the bar for each person that came into the bar that night, and received 10% of the gross bar takings for the entire night. Some nights, I made over $1,000. When the buses arrived outside the bar and 50 kids got off, it caused a huge scene. Word would spread from bar to bar around M Street that buses full of college students had just rolled in to Winston’s and, before you knew it, the entire bar was packed. I got into the ski travel business whilst a junior in college, as a way of getting a free ski trip over Spring Break. My busing system worked, so I started running bus trips to ski resorts in Vermont over the college breaks. One thing led to another and, before I knew it, I was knee-deep in a full-time ski travel business. In 1996, the Internet started to come about, and we morphed into an online ski travel company with a fully-fledged, online and customized e-commerce booking engine. The business got bigger every year and, in 2007, my wife and I sold the business. CollegeSkiTrips.com- Online Travel Agency/Tour Operator was acquired in August 2007. I was the founder and former CEO of CollegeSkiTrips.com, the leading “youth-based” online ski and snowboard travel company in North America. CollegeSkiTrips.com is now owned by the largest ski tour operator in the United States. For the last year that we operated the business we were the #1 group wholesale buyer of hotel rooms at Breckenridge Ski Resort (Vail Resorts, Inc., a publicly trading company). We Partnered with STA Travel, the 9th largest travel company in the world, with 110 retail travel agencies. 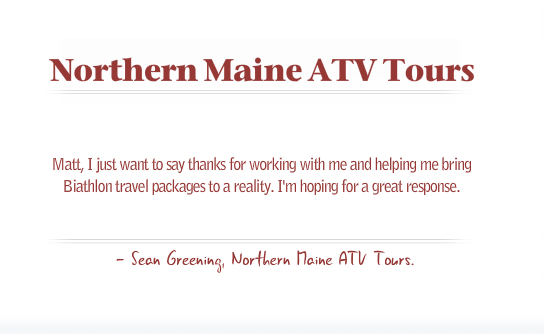 STA Travel sold our ski and snowboard packages. In 2007, STA Travel was our largest wholesaler distributor and travel partner. We developed our own proprietary Online Travel Technology and Online Booking Engine, and built a proprietary online extranet for the 110 retail travel agencies to buy ski and snowboard packages for STA Travel clients. We ran a sales team and distribution network that included up to fifteen sales representatives, distributing up to 200,000 brochures a year to over 2,000 colleges and universities in the U.S. & Canada. CollegeSkiTrips.com became the #1 most visited website by college students searching for college ski trips through the Google & Yahoo search engines. And here is the coolest part. It was all accomplished from right here. BONUS Offer Each member will receive a FREE copy of the Automated Markup Booking Strategy a $95 value. This is a cool little marketing technique and piece of software I created that may be of value to your online travel business. The strategy itself if implemented will help you earn higher margins and grow your online sales. Rhonda Costa, founder of Costa del Tennis and a Travel Business Academy member says, “Start up modules #1 & #2 really helped me get focused, the worksheets literally rained me in. I would write on the worksheets then come back later and continue to refine the business. The more I removed and started simplifying the business the more focused I was able to become. The Travel Library is really, really valuable! I am now writing contracts with boutique hotels. I am originally not from the travel industry so its been challenging for me but the travel definitions and sample contracts helped me understand the language used when dealing with travel suppliers." Can you really make money in an online travel business working from home? Yes, it is true. You can make money online working from home and can actually make a lot of money if you work hard, stay focused and execute. Just look at the image above. I am proof that you can do the same its just a matter of having some guidance and working hard. You can build a business and live the Internet lifestyle you always dreamed of by operating an online travel business. The mission of the Travel Business Academy is to introduce you to the world of the online travel business and to help educate you on how to start and grow a successful online travel business in an affordable and professional environment. The goal of the Travel Business Academy is to assist you in creating a unique travel brand for your new online travel company, selling a travel product/service/package to a targeted core traveler or a travel destination with contractual agreements directly with hotels and travel suppliers. Can you start a “real” online travel business while still working full time? Absolutely. In fact most new businesses started today are by full-time employees that moonlight on the side. You should never stop your current cash flow, as you’ll need financial support from your current job and or from your spouse or partner while you are building your company. Here in a nutshell is how the Travel Business Academy works. After you enroll you’ll have online access to the Academy courses where you’ll have access to all 5 business-building modules, the travel business start up resource library and all the marketing reports. There are over 60+ documents, reports, worksheets and videos downloadable. The #1 reason to own an Online Travel Business. Owning a business that runs 24/7 makes you money whether or not you are in the office, whether you put in 8 hours of work a day, or no hours at all. Your online travel business runs every day and makes you money. This is the power behind running an online travel business that you own. The business makes you money; you individually are not making the money. You can leave the house for hours on the day, play a round of golf or hit the ski slopes, and your business still runs. Your online travel business will work hard for you day in and day out. The more you improve your business, the more money your business will earn. Over time, your online travel business will improve, getting better and better each day, as you put more and more personal time into it. The monthly subscription can be cancelled at any time. The Lifetime purchase will give you access to the course for life. The subscription and lifetime purchases both give you full access to all the content. I am the teacher of the Travel Business Academy and the co-founder and managing partner of Travel Startups Incubator the leading global travel technology incubator, investor platform and online community of for travel founders and CEOs. I’ve built 2 travel companies. I now work with our portfolio companies helping them launch and grow their startups. 5 techniques to develop a singular-use online travel startup.